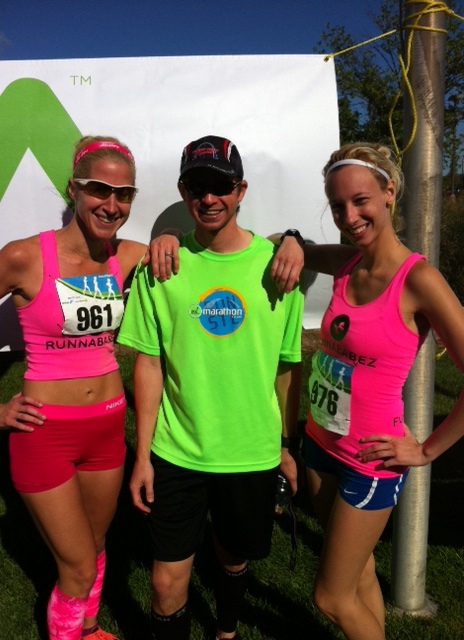 Runnababez Lisa & Lauren go 1-3 @ Fenton 10k! A few Runnababez gathered up last minute to hop in the local Fenton 10k to get in a nice tempo workout and enjoy the beautiful weather, right in the backyard pretty much for Lisa & Lauren anyway. The Runnababez did a sweep 2, of top 3 spots overall! Lisa won first female overall in a road 10k PR of 36:23. Lauren Hubbard took home 3rd overall just coming back from battling a month long hip injury finishing in 43:04. Even Lauren’s husband, fellow Runnadude Kyle Hubbard made it out and took home 2nd overall for 10k men! Fellow fleet feeters were represented everywhere! Good showing from Chris Braun who placed 2nd Male overall in the 5k. Beautiful weather for racing and running today for sure!